Now to further our analysis lets connect a load to port 1 and drive port 4. So this is a reverse direction operation for this coupler. lets assume the load is exactly 50 Ohm and we terminate port 3 with also 50 Ohm. Now the power coming out of port 6 is -32 dBm if the coupler is ideal. 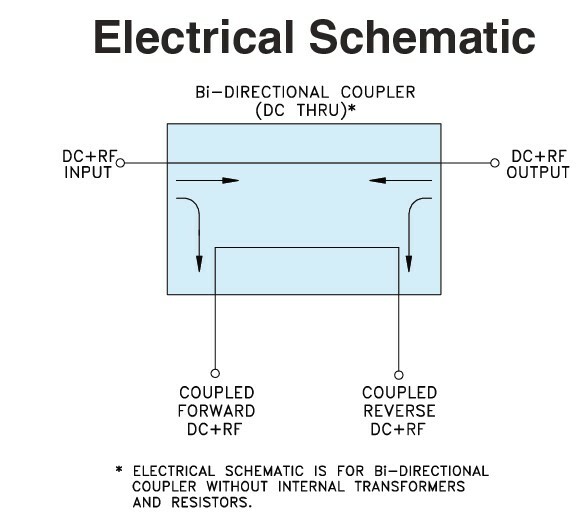 (directivity + coupling ). – 32 dBm and the total power being measured at port 6 with 100 Ohms is the reflected power PR. Here PT is 0 dBm. Once RL is known other parameters can be calculated.